Taxi and pushback are unglamorous, overlooked and sometimes dangerous parts of every airline flight. The stakes are high for airport workers involved in pushback. 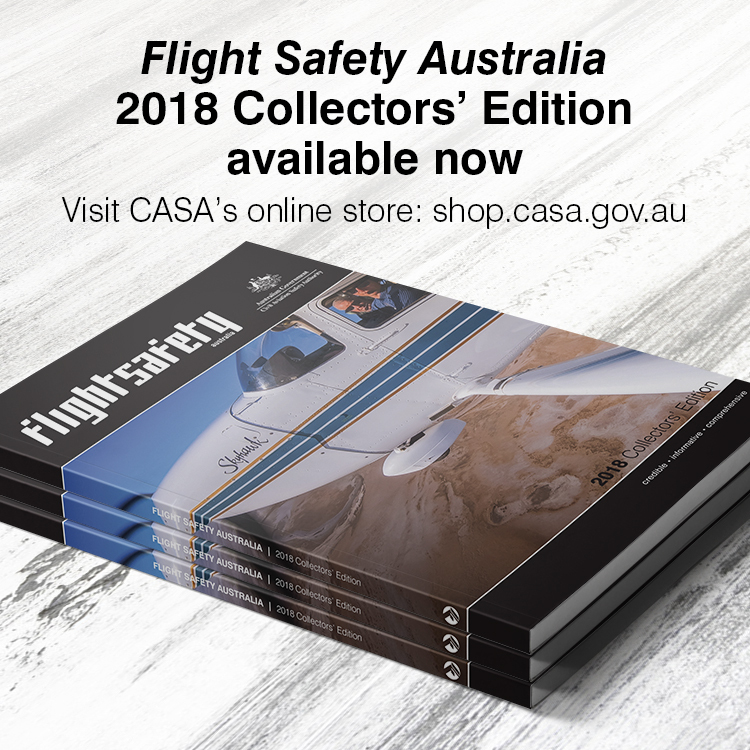 In a study of 46 accidents between 1964 and 1992, then Qantas Melbourne airport safety manager, Geoff Dell, found 31 or 67 per cent had involved amputations or deaths. A 2005 study by Jurek Grabowski and colleagues found two-thirds of aircraft ground collisions with vehicles, people or other aircraft took place as the aircraft was departing. Between 1983 and 2004, 21 people died in the US in such accidents. The hazards include jet blast, and several gruesome variants on the theme of collision, including crushing between tugs and aircraft landing gear, or wings acting as giant brooms which sweep people and objects off high places. Removing people from the immediate vicinity of a backwards-moving aircraft is one way to lessen the number of injuries. Automated or built-in pushback and taxi systems could be a way of achieving this. Their development has been driven by economic factors, namely the promise of saving up to a tonne of fuel used in taxiing on every flight, but they may also have a safety benefit. Three ventures have developed pushback and taxi systems that allow commercial aircraft to taxi with engines shutdown. They are WheelTug, Taxibot, and Electric Green Taxiing System (EGTS), all systems that allow an aircraft to manoeuvre independently on the ground, without using its engines. UK-based WheelTug is installing its system on the nosewheel; EGTS International is installing its electric green taxiing system (EGTS) on the main landing gear; and IAI, partnering with global ground-support equipment manufacturer TLD, has developed an autonomous vehicle that can tow the aircraft from the gate to the runway threshold and back. to 10 knots and would be ‘useless’ on the rare occasion of an aircraft on a slippery taxiway having an aft center of gravity, he said. On these rare occasions the aircraft could taxi conventionally. Wheeltug says its system could save $US1 million ($A1.3 million) per year per aircraft. ‘Pushback operations take a lot longer than you might think,’ Cox says. ‘When an aeroplane pushes back everybody else has to get out of the way. It means an aircraft is blocking the taxiway for as long as it takes to go backwards and to go forwards again. This process takes more than13 minutes for one in 10 flights,’ Cox says in a corporate webinar. The system has no effect on the auxiliary power unit’s air conditioning and starting performance and is ‘a lot like driving a golf cart’ to use. Flight deck cameras enable situational awareness during manoeuvres. The ability to make tight turns near airport buildings without creating jet blast would allow Wheeltug-equipped narrow body aircraft to park close and parallel to airport buildings and in some cases, use two air bridges to allow faster boarding through the aircraft’s front and rear doors. Other benefits would include reduced engine foreign object damage (FOD), plus substantial reductions in CO2 and other greenhouse gas emissions. 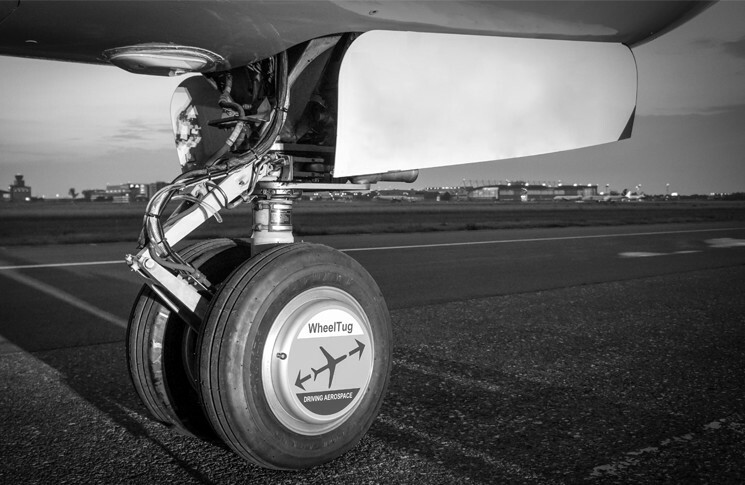 The WheelTug system is being developed initially for the Boeing 737NG and Airbus A320. TaxiBot is a tow bar-less hybrid electric vehicle designed to transport commercial airline aircraft from terminal gates to the runway and back, without using the aircraft engines. The system has been in use in flight operations at Frankfurt Airport since February 2015. The aircraft pilot controls the Taxibot using the aeroplane’s existing controls in the cockpit. Taxiing speed is controlled by the pilot using the aircraft brakes. TaxiBot says its system provides the pilot with the same handling characteristics as if taxiing with engines. In most cases, no modification to aircraft is required and only minor if any modifications to an airport’s infrastructure are required. The system is designed to maintain nose landing gear design life. It can operate at up to 23 knots. Landing gear and brake systems maker Messier-Bugatti-Dowty (now Safran) developed EGTS in a joint venture with Honeywell. This system drives the main wheels in order to save what the makers estimated was the six per cent of aircraft fuel used on taxiing. lower pilot workload vs single engine taxi. additional aircraft fuel burn due to EGTS weight. However, the joint venture was suspended in July 2016, in an environment of low fuel prices. The US Transportation Research Board examined alternative taxiing systems in 2016 and listed several potential safety concerns, including the visibility of aircraft pushback tractor equipment on taxiways, the possibility of jackknifing and braking failure (where braking did not use the aircraft’s brakes), and visibility and identification of aircraft with on-board systems to allow for slower speed when crossing runways. Dell, G. (1993). Aircraft pushback accidents worldwide 1964-1992: causes and prevention (Doctoral dissertation, Mt. Helen. Vic.). Fordham, D. (2016). Deriving benefits from alternative aircraft-taxi systems. The National Academies of Sciences, Engineering and Medicine (US), Airport Cooperative Research Program (ACRP). Grabowski, J. G., Baker, S. P., & Li, G. (2005). Aviation, space and environmental medicine, Ground crew injuries and fatalities in US commercial aviation, 1983–2004. 76(11), 1007–1011.